It’s been less than a year since Baxley Powell added dreamwalking and police consultations to her list of occupations, but she’s long overdue for a vacation. That is what has led her to the Georgia mountains at Stony Creek Lake, where Baxley is camping with her parents, daughter, and best friend Charlotte Ambrose. While visiting one of the homes of Charlotte’s cousin, the women have a disconcerting encounter with Burl Sayer, a PTSD veteran intent on fulfilling his duty on an imaginary patrol. Their encounter places them in the midst of a murder investigation when they are later rousted by the local police, who view them less as suspects and more as tools. Baxley has developed a reputation among law enforcement as an effective dreamwalker, able to cross over to the other side to speak with the dead. Along with her abilities as a lie-detector, this has made her a valuable asset to the authorities, not to mention a State Archaeologist. As exhausting as it is for Baxley to become immersed in one murder, a second involving the recently recovered remains of a six-year-old girl mentally fatigues her, especially when it has her shuffled between a multitude of investigators. A visit to the group home from the first investigation becomes dire when they encounter a psychic vampire, someone who can manipulate his victim’s will and fatally siphon out their energy. The ambitious Sheriff Twila Sue Blair can hardly deny the existence of the abomination when she experiences it herself, but that doesn’t lessen her intent on using Baxley for a ticket to the governor’s office. Since she seems to be the prize in a game of tug-of-war, Baxley is grateful to have not just the dreamwalking mentorship and herbal medicines of her parents, but the quiet support of a similarly gifted Native American deputy Sam Mayes. Together they will need to use all of their knowledge and skills to track down a creature whose motives may be as cloudy as the force behind him. This is a highly original and unique novel that uses practical police procedures to follow very paranormal clues. Baxley’s talent for reaching the dead and speaking to those who cross through the “veil,” are emphasized here more than her other skills. What continues to distract Baxley, and perhaps keep her from moving on in life, is the refusal to believe that her long-missing husband is dead. Although the Army has declared Roland to be deceased, Baxley’s inability to contact his spirit has her hopeful, perhaps in a confused state similar to Burl’s. Romance remains alive with Charlotte’s search for a partner, perhaps giving Baxley the final nudge towards giving herself another chance. This is an engaging paranormal mystery, one whose mythology should continue to draw in new readers the further it evolves. 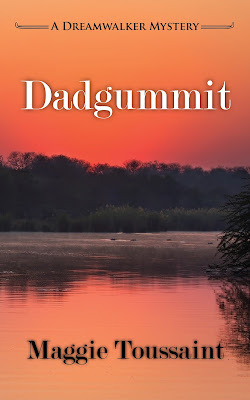 To enter to win either a print or ebook copy of Dadgummit (winner's choice), simply email KRL at krlcontests@gmail[dot]com by replacing the [dot] with a period, and with the subject line “dadgummit,” or comment on this article. A winner will be chosen September 16, 2017. U.S. residents only. If entering via email please included your mailing address. BE SURE TO STATE WHETHER YOU WANT PRINT OR EBOOK. Sounds like a series to read. I really enjoy Maggie's books! I love reading about police procedures and how they figure things out. 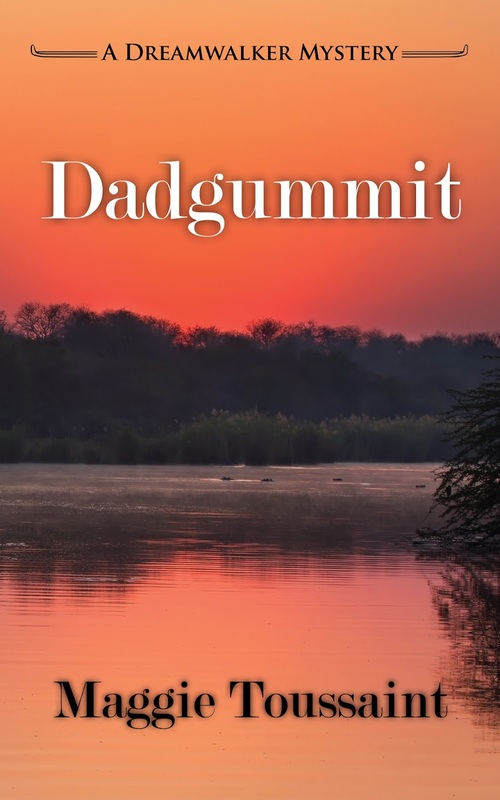 Thank you for the great review of Dadgummit. I am delighted to have my mystery series featured here at King's River Life. Well, it sounds like a good mystery. Please enter me. This sounds like a really interesting read. I would like to read more about Baxley and her dreamwalking. I look forward to getting back into the story of Baxley with this latest installment. I love Maggie's writing and her character names leave this New Englander sometimes scratching her head in amusement.